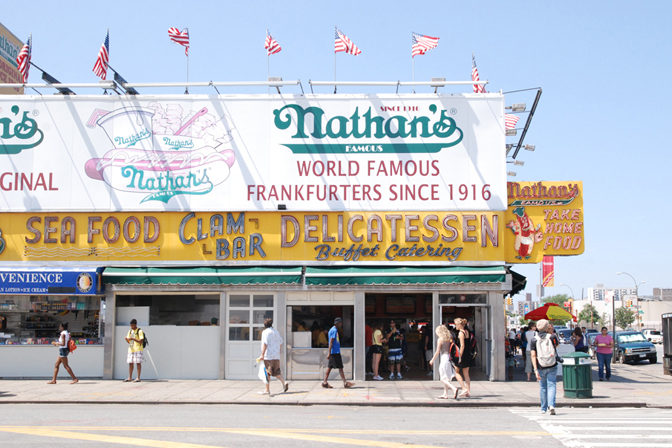 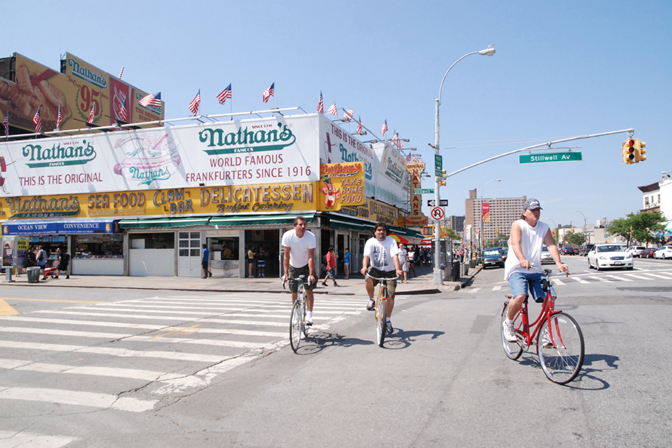 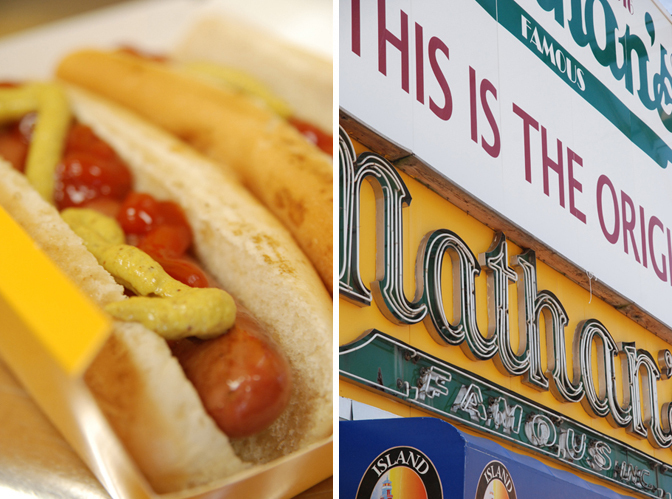 Using a secret family recipe, Nathan Handwerker opened the first Nathan’s Famous at Coney Island in 1916, selling hotdogs for only a nickel each. 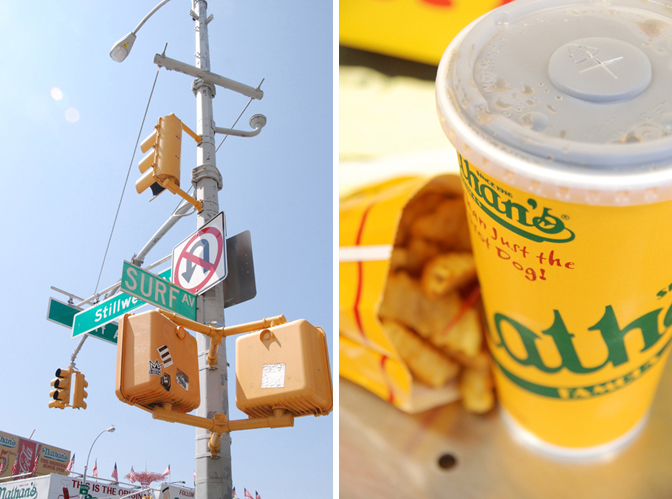 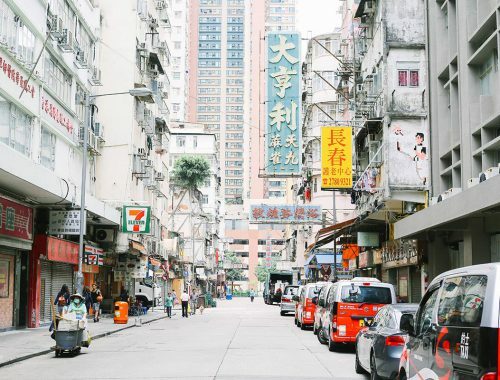 The original stand still remains on the corner of Surf and Stillwell Avenues, in all its yellow and neon glory. 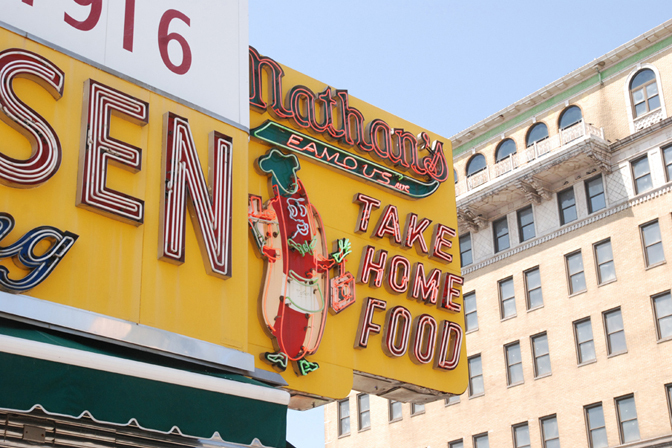 At this years annual hot-dog eating contest, the winner ate 69 dogs in 10 minutes.